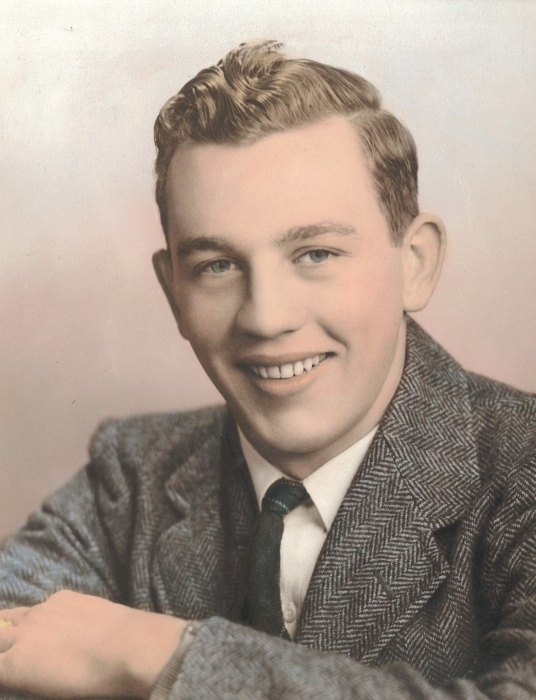 Obituary for Robert J. Hewett | Drinkwine Family Mortuary, Inc.
Robert James “Jim” Hewett, 89, died with family present February 3, 2019 at a Wind Crest Retirement Community, Highlands Ranch, Colorado. Jim was born September 26, 1929, in Ainsworth, Nebraska, the son of Elmer F. and Leslie (Farner) Hewett. He had three brothers Vern, Floyd, and Bill. After his mother’s death, his father remarried Lois (White) Munson bringing two step brothers, James and Ray, to the family. Jim graduated from Winner High School, Class of 1947. 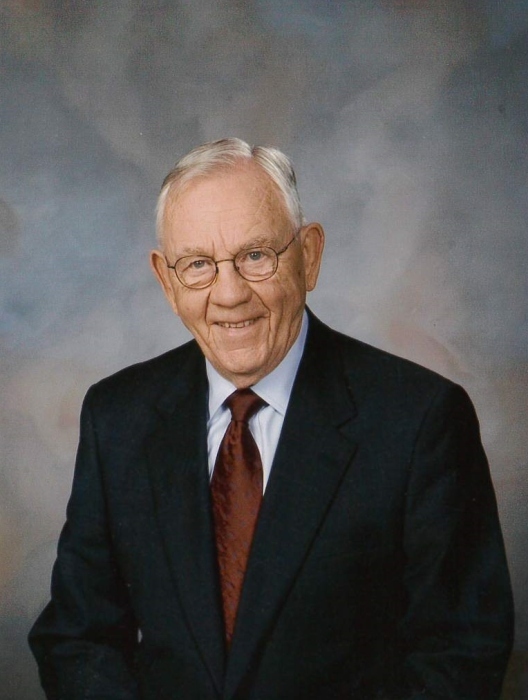 He went to the University of South Dakota, Class of 1951, where he was a member of the Sigma Alpha Epsilon fraternity. During college, he married his sweetheart, Mary Assman. After graduation they started a journey that took them around the country from Washington to Kentucky and finally settling, for over fifty years, in Littleton, Colorado. Along the way Jim supported his family as a salesman, and later, a small business owner. 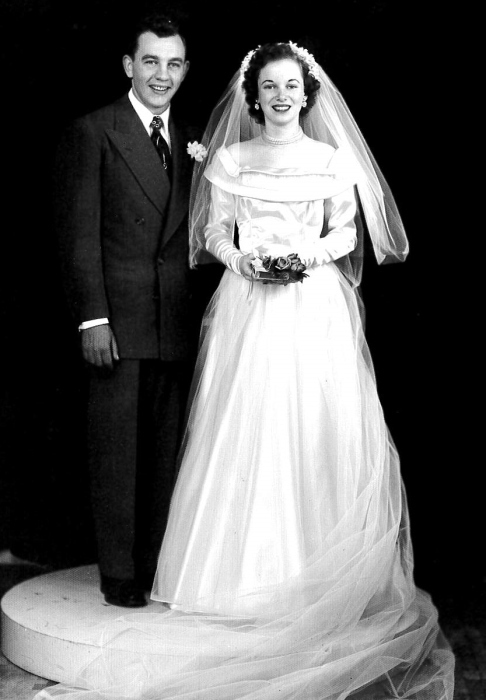 Jim and Mary celebrated 68 years of marriage in January. Jim loved telling jokes and stories, watching his grandchildren’s activities, and traveling the world. He supported Platte Canyon Sertoma, Englewood Jaycees and the Colorado Brigade of Kentucky Colonels. He was a member of both the Carousel Dance Club and the Outpost Dance Club. He and his family are long time parishioners of St. Mary Catholic Church. He had joy that was contagious and was greatly loved by all that met him. In addition to his parents, he was predeceased by four of his brothers, his son Robert William Hewett, and granddaughter Amelia Mary Hewett. Surviving in addition to his wife, Mary Hewett, are his brother James Munson of Falmouth, Massachusetts; daughter Cinda Pierce and husband Dan of Springfield, Oregon; son Michael Hewett of Denver, Colorado; son Bruce Hewett and wife Kristin Hewett of Vacaville, California; son Monte Hewett of Atlanta, Georgia; daughter Holly McNamara and husband Thomas of Littleton, Colorado; daughter Kimberly Brouillette and husband Kevin of Littleton, Colorado; Fifteen grandchildren: Bethany Brandt, Haylee Hess, Andrew Hewett, Laura O’Mary, Shelley Fisher, Megan McNamara, Cole McNamara, Emily McNamara, John Brouillette, Nicholas Hewett, Matthew Brouillette, Caitlyn Hewett, Michael Brouillette, Grace Mary Brouillette, Hazel Hewett; Five Great Grandchildren: Alexa Brandt, Heidi Brandt, Rocco Aratari, Mary James Fisher, Thomas Fisher; and many in-laws, nieces, and nephews. A Funeral Mass will be held at noon Friday, February 15, 2019 at St. Mary Catholic Church, 6853 S Prince St, Littleton, CO 80120. Vigil and Recitation of rosary will be February 14, 2019 at 6:00 PM at Drinkwine Family Mortuary, 999 West Littleton Boulevard, Littleton, Colorado, 80120.